This recipe makes enough for 15 doughnuts, and the pans only make 6 each. Luckily in my doughnut pan buying binge, I also picked up this adorable pan. 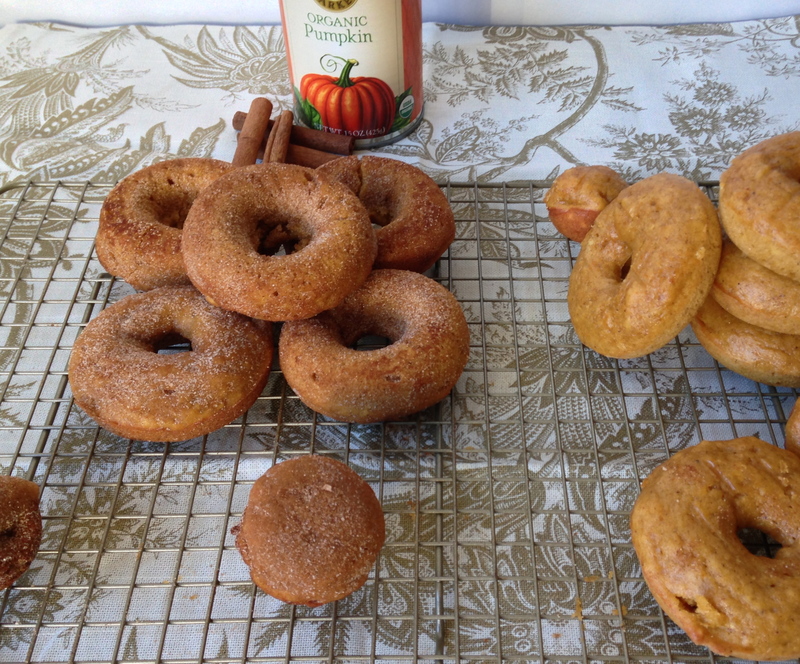 So I used my extra batter to make some pumpkin doughnut holes! You could just bake the doughnuts in a second batch though. 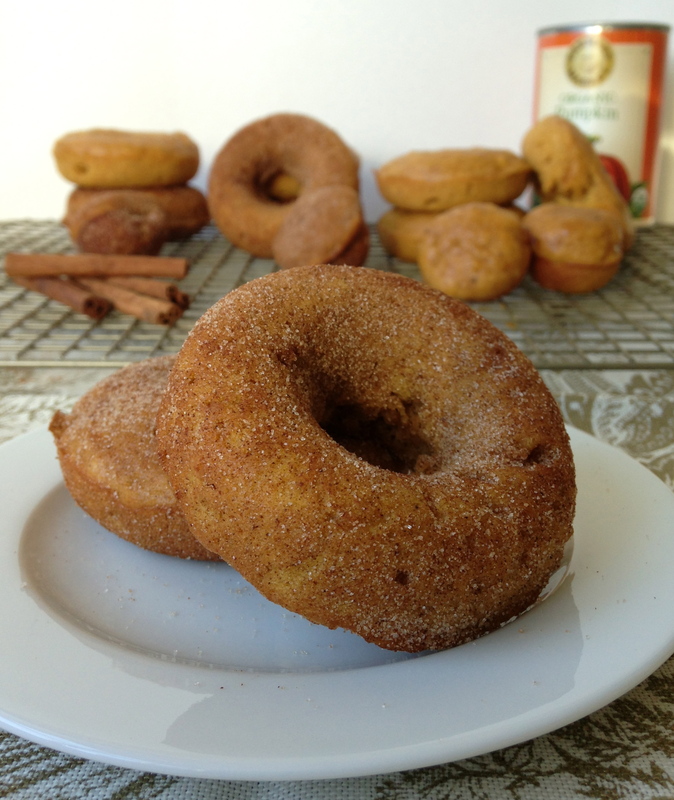 I see many more baked doughnut recipes in my future … these are on the menu for Saturday. How incredible do they look?? These new doughnut pans are going to be trouble! 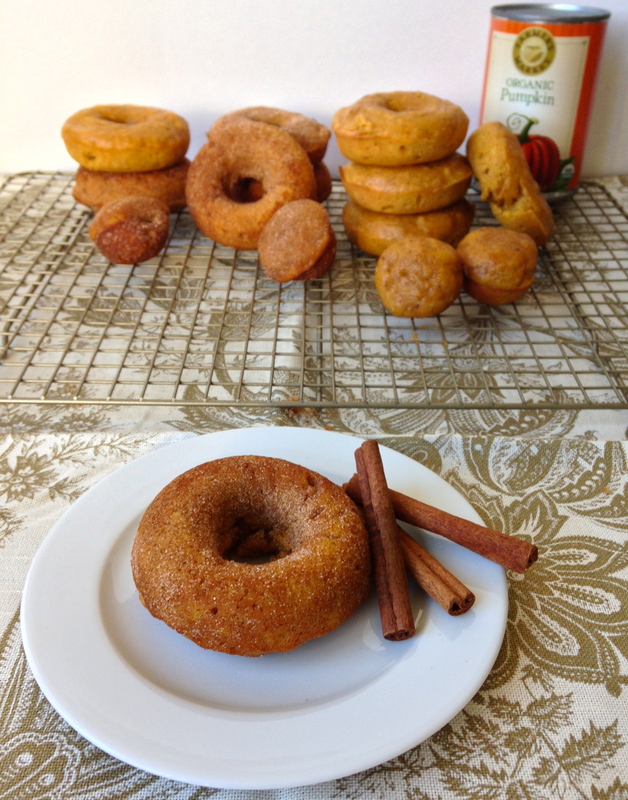 Some of the doughnuts in the back are not tossed in cinnamon sugar, just so you can see how they look plain! These donuts have the best texture! Preheat the oven to 350 degrees F. Lightly grease 2 standard doughnut pans. Beat together the oil, applesauce, eggs, sugar, pumpkin, spices, salt, and baking powder until smooth. Fill the wells of the doughnut pans about ¾ full. 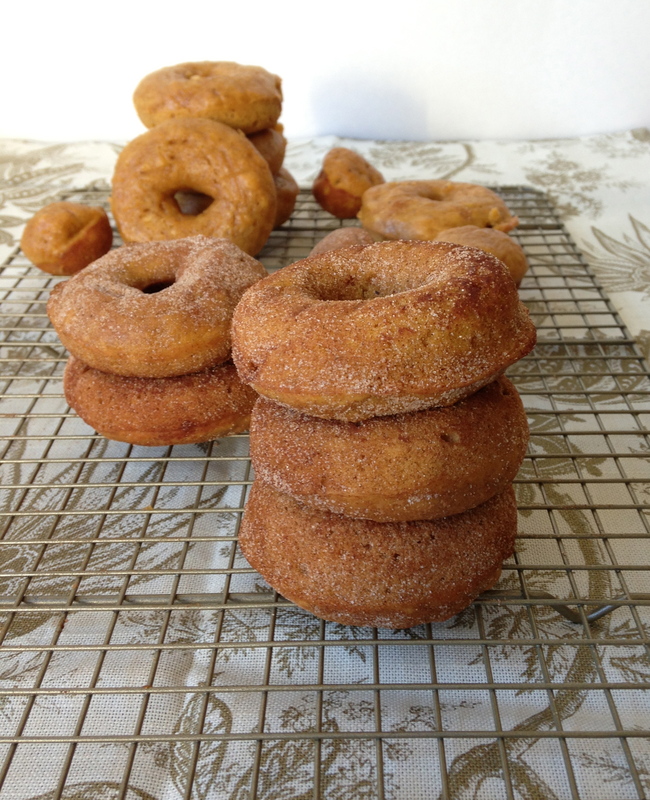 I use a spoon to do this, and it will take a scant ¼ cup of batter for each doughnut. 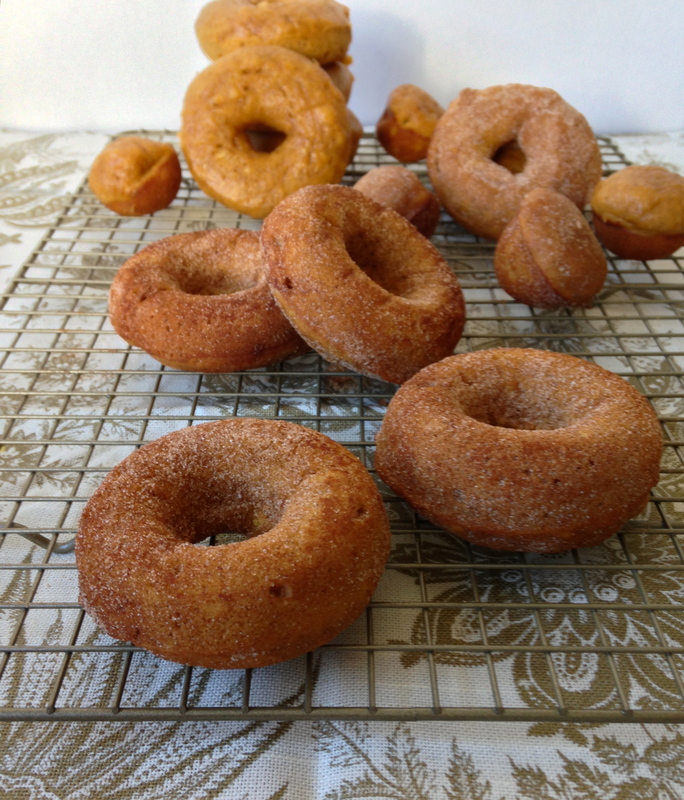 Bake for 15 – 18 minutes, until a cake tester inserted in the center of a doughnut comes out clean. Remove from the oven and let cool in pan for 5 minutes. Then transfer donuts to a rack to cool. Fill a gallon sized ziplock bag with cinnamon sugar mixture. 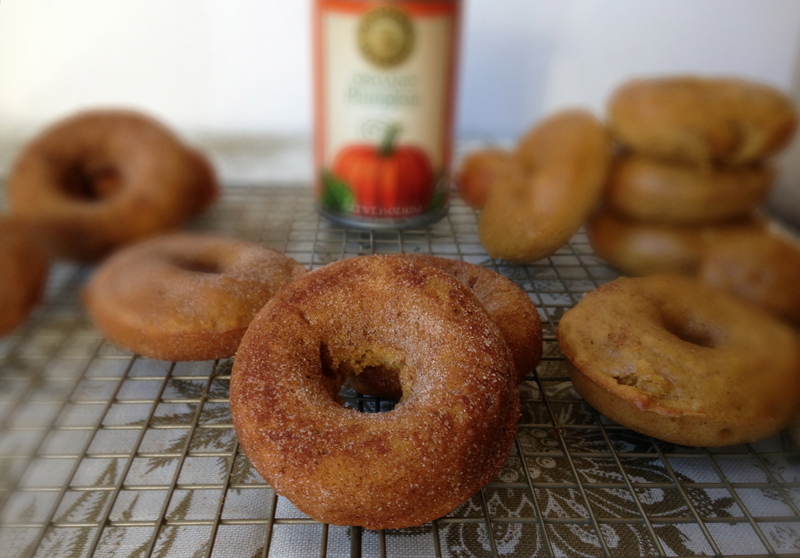 While the doughnuts are still warm, shake them in the cinnamon-sugar. I need a donut pan!!! I am SO happy that I bought one! 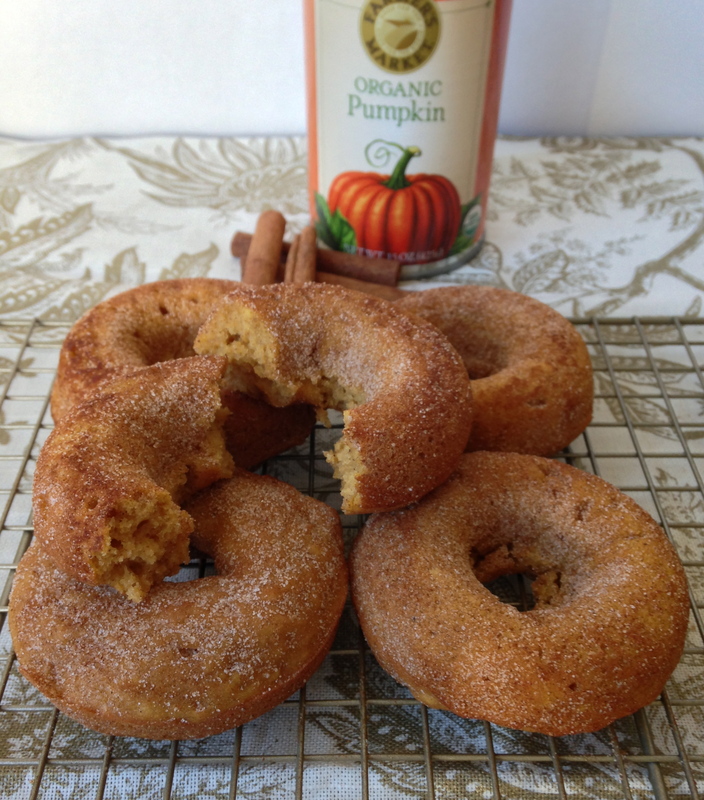 This looks great, do you have any idea of what would be a good substitute for pumpkin pie spices? We don’t have them in the UK and I have to hand make all my purees as I won’t buy the only puree supplier (Nestle) we have here too. Thanks! I don’t have a donut pan but I’m beginning to think I can’t survive any longer. This looks so great and I love that the texture is almost like cake. Pumpkinnnnn!!! I cannot get enough of donuts either. I must try this recipe as well. Thanks, Melissa! I hope you love them! Oh god just found these as well – OK now all I can think about is making doughnuts!! These look amazing. they look to die for! amazing! These look so much more inviting than the deep-fried ones we normally see in the UK…I’m converting to the world of baked doughnuts! Are you familiar with the Floresta Nature Doughnut company in Japan? The animal ones are just too adorable to eat! I have not heard of Floresta – I just googled it, and those doughnuts are SO cute! I hope I can go there some day!